After performing in tango grand-maestro Astor Piazzolla’s legendary quintet for over a decade, and appearing on iconic Piazzolla recordings including Tango: Zero Hour, La Camorra and Central Park Concert, Ziegler has led his own groups for over 20 years, refining and re-imagining the bounds of the modern tango tradition. The Pablo Ziegler Trio was awarded Grammy for Best Latin Jazz Album in 2018 for their album, Jazz Tango, marking the first ever nuevo tango release to win a major Grammy. Touring throughout the world with his trio, quartet and mixed ensembles, Ziegler has performed at such esteemed venues as Carnegie Hall, SFJAZZ, the Ottawa International Jazz Fest, the Eastman School of Music, the Miami International Piano Fest, the Chautauqua Institution, Duke Performances, the Mondavi Center, La Jolla SummerFest, the Blue Note, and many others. Recent season highlights include a performance at Lincoln Center Out of Doors on a shared bill with the Paul Taylor Dance Company. The evening included a set by Ziegler’s quartet – described by The New York Times as “rapturous” – as well as a historic, first-ever collaboration: Taylor’s Piazzolla Caldera with live accompaniment from the Pablo Ziegler Ensemble. In summer 2012, Ziegler joined violinist Lara St. John at the Naumberg Bandshell in Central Park to celebrate the 25th anniversary of Piazzolla’s historic Central Park Concert of 1987, in which Ziegler also played. The 2012 concert brought the largest crowd in the 107 year history of the Naumberg Orchestral Concerts series. In addition to performing with his own groups, Ziegler has been a featured guest soloist with many major orchestras, playing his own compositions as well as the music of Piazzolla with the Colorado Symphony, the Tokyo Chamber Orchestra, the Presidential Orchestra of Turkey, the Charleston Symphony, the Metropole Orkest in the Netherlands, and Jazz Sinfonica Orchestra in Brazil. Pablo Ziegler’s Tango Meets Jazz project – which for over ten years saw an annual week-long residency in New York, starting at the Jazz Standard and later taking residence at Birdland Jazz – paired Ziegler’s quartet with guest artists including Branford Marsalis, Regina Carter, Stefon Harris, Paquito D’Rivera, Kenny Garrett, Joe Locke, Randy Brecker, David Sanchez, Nestor Torres, and others. Ziegler’s most recent recording, Jazz Tango with his Jazz Tango Trio, won the 2018 Grammy Award for Best Latin Jazz Album. This was the first time nuevo tango won a major Grammy. Ziegler’s recording, the Latin Grammy-nominated Amsterdam Meets New Tango (Zoho Music 2013), paired his quartet with the Netherlands’ Metropole Orkest, playing his most famous works arranged for jazz orchestra. His work as music director, arranger and pianist for bass-baritone opera star Erwin Schrott earned an Echo Klassik Award in 2011 for the album Rojotango. 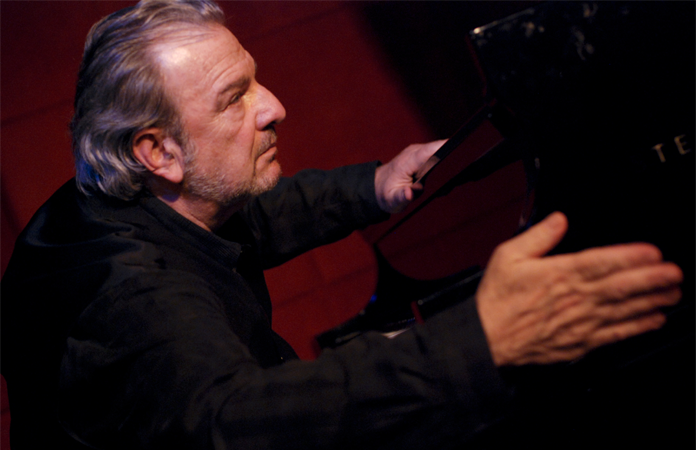 Ziegler’s 2005 release, Bajo Cero, won the Latin Grammy Award for Best Tango Album, and in 2008, his album Buenos Aires Report made the final list of nominees for the same honor. Other major recordings include 1998’s Tango Romance with the Orpheus Chamber Orchestra and 1996’s Los Tengueros with Emanual Ax. Ziegler has been artist-in-residence at major institutions, such as the Latin American Music Center at Indiana University’s Jacobs School of Music, and the MusicUnitesUs Intercultural Residency Series at Brandeis University.